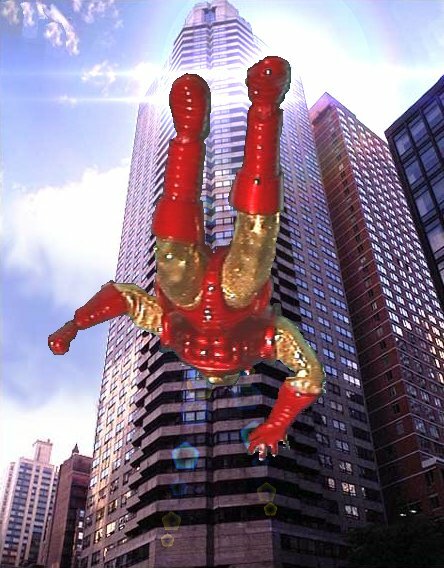 This is why they call him "The Golden Avenger". 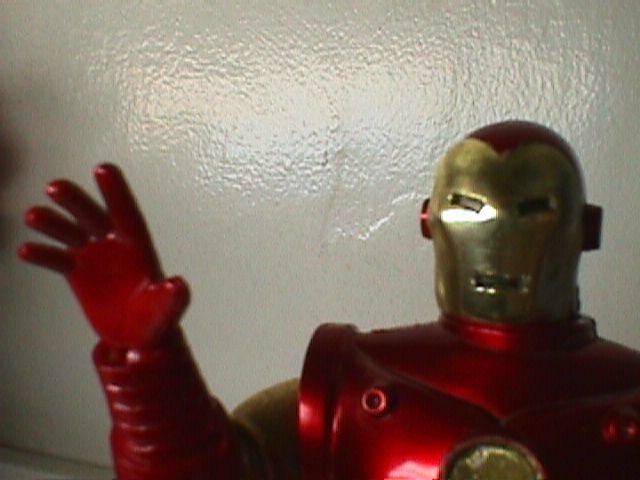 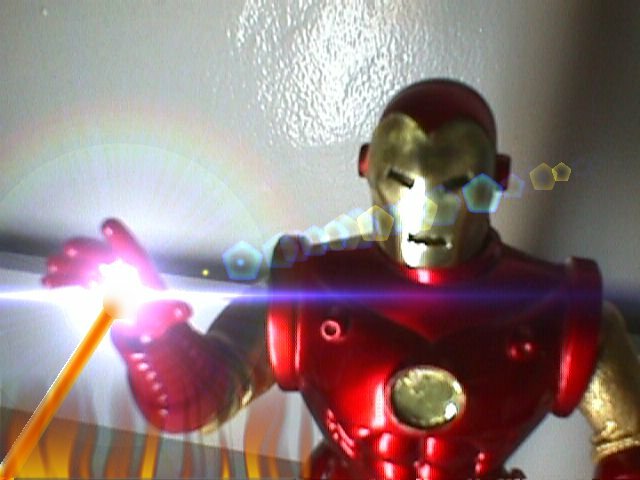 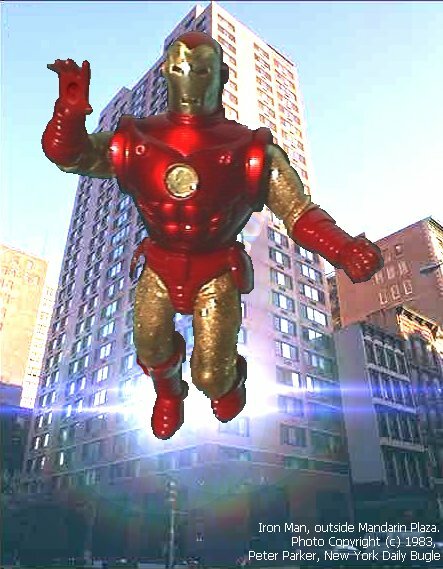 You'll find the Iron Man! 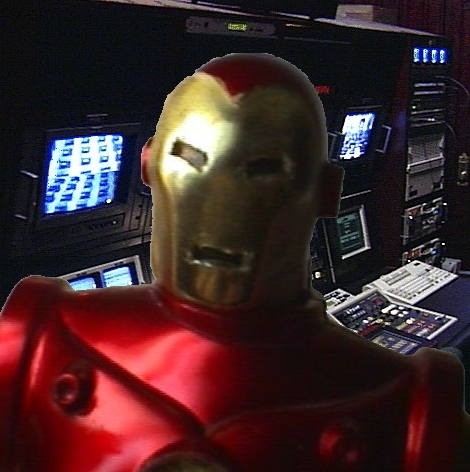 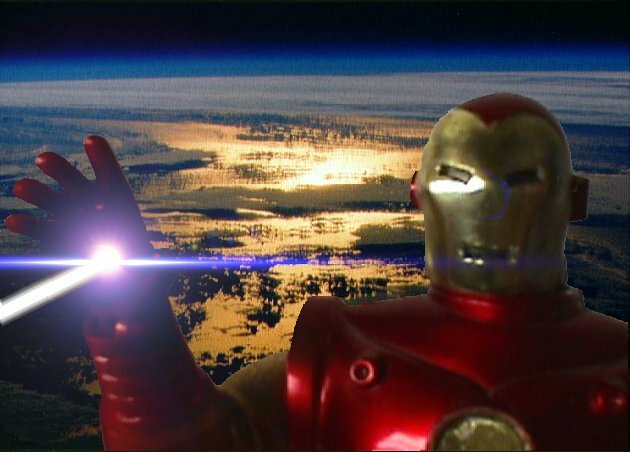 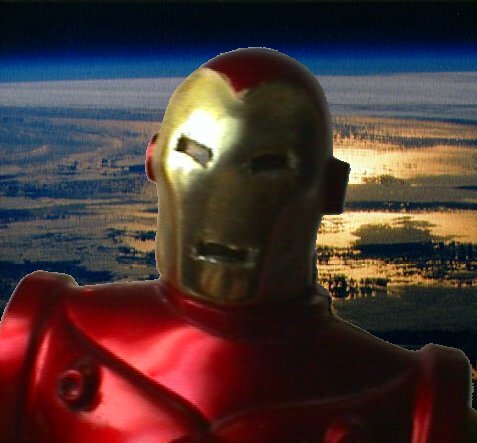 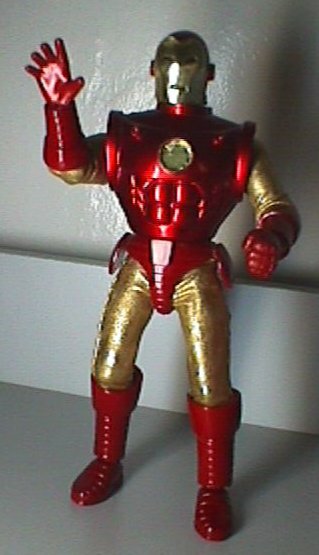 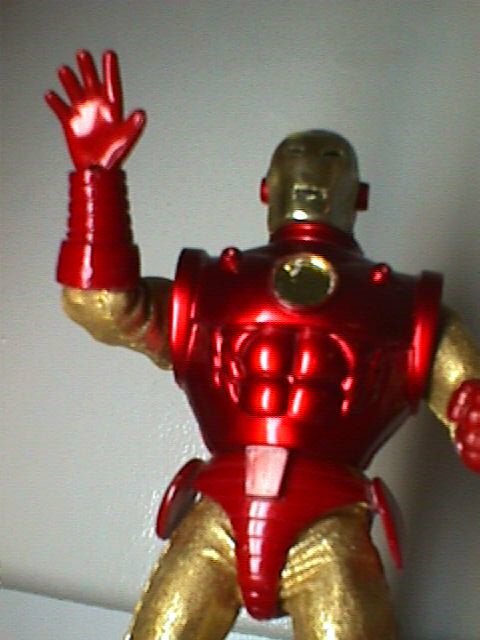 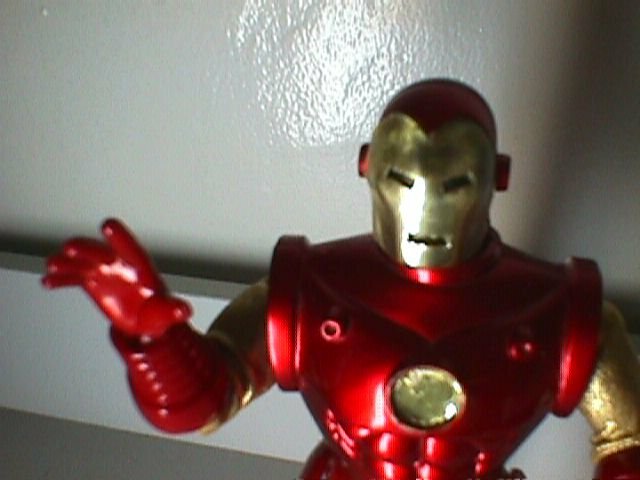 Iron Man's jumpsuit has been replaced with one made from a lovely gold metallic swimsuit lycra. 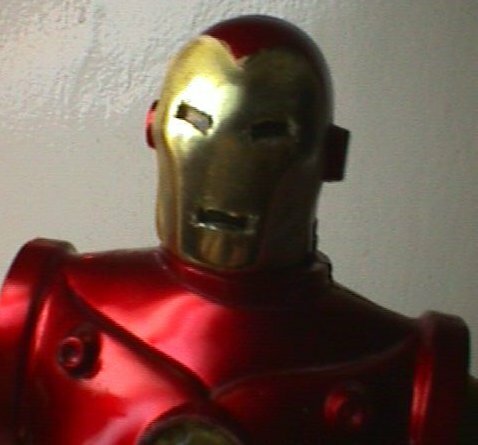 His helmet's faceplate has been coveredwith a layer of the inner tray from an FC box, with eye and mouth holes X-Acto'ed in.